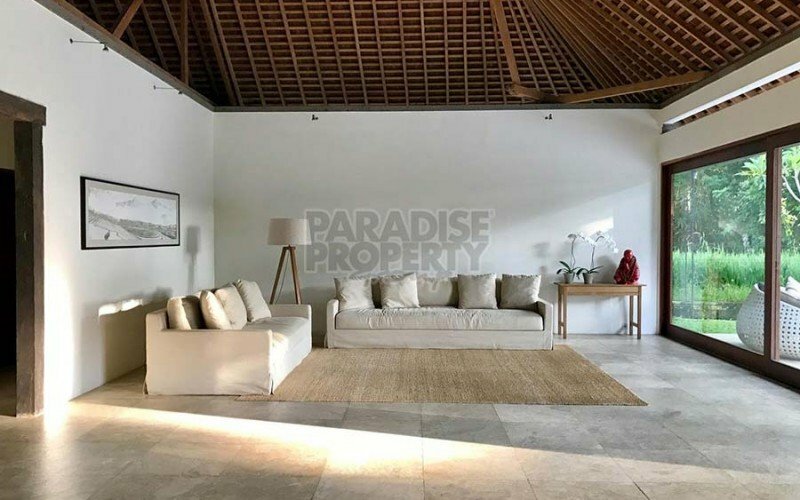 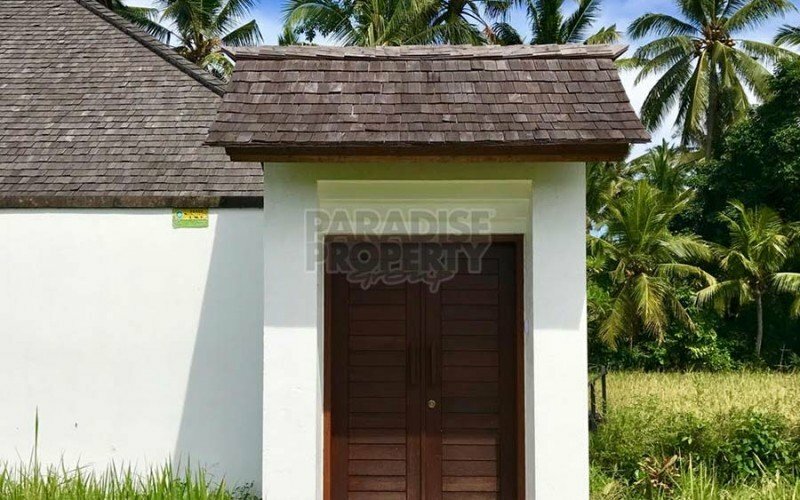 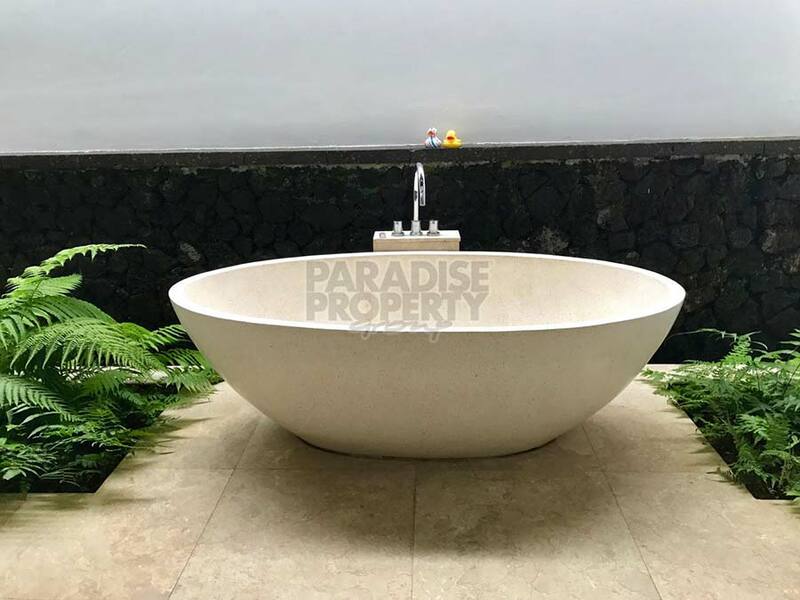 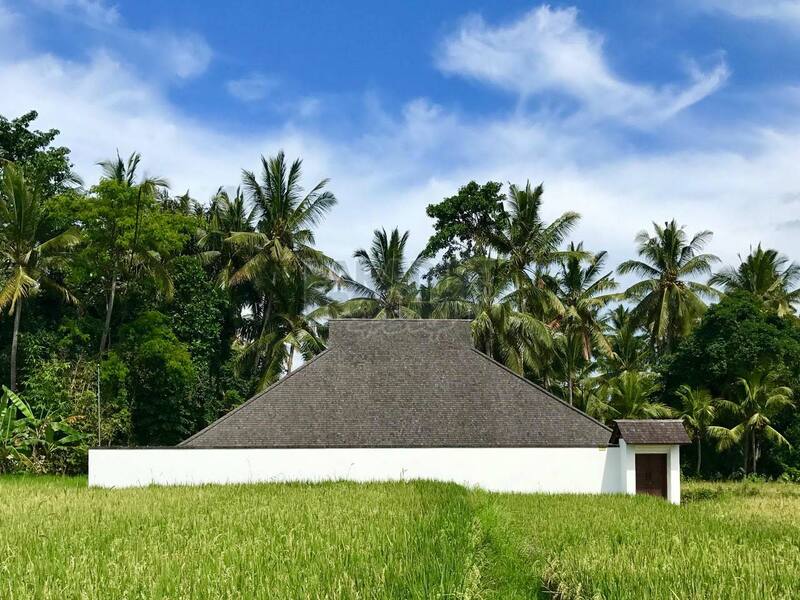 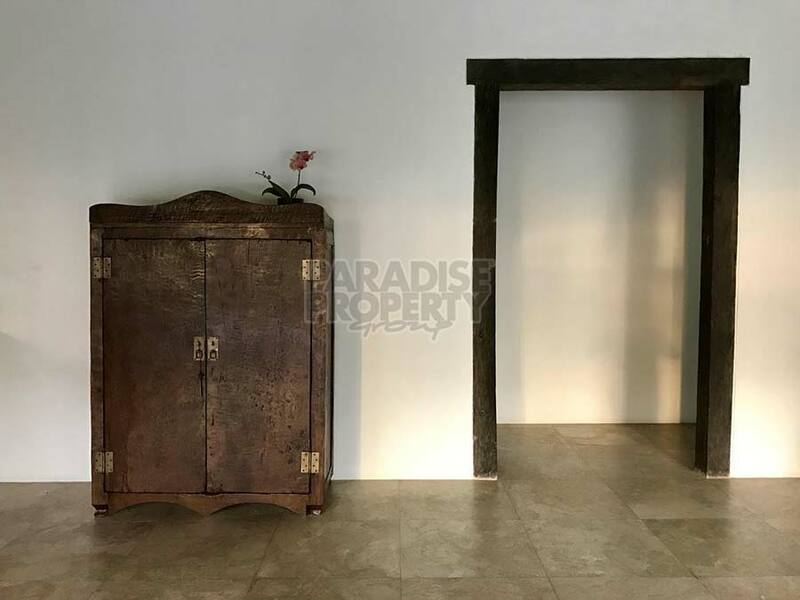 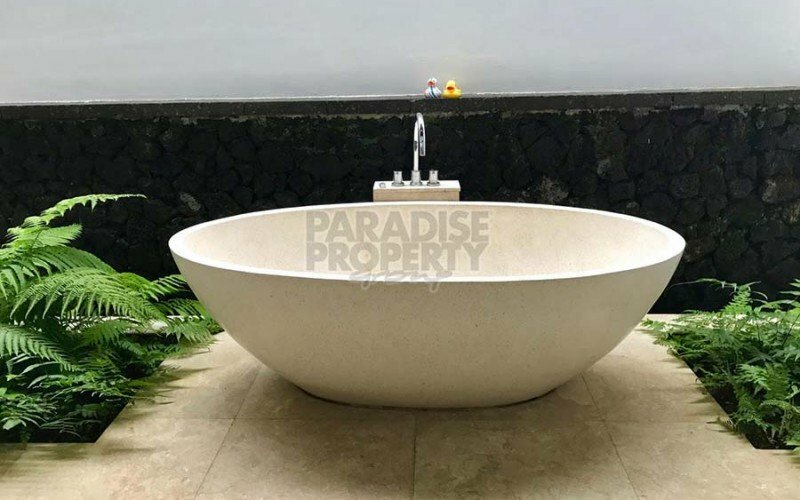 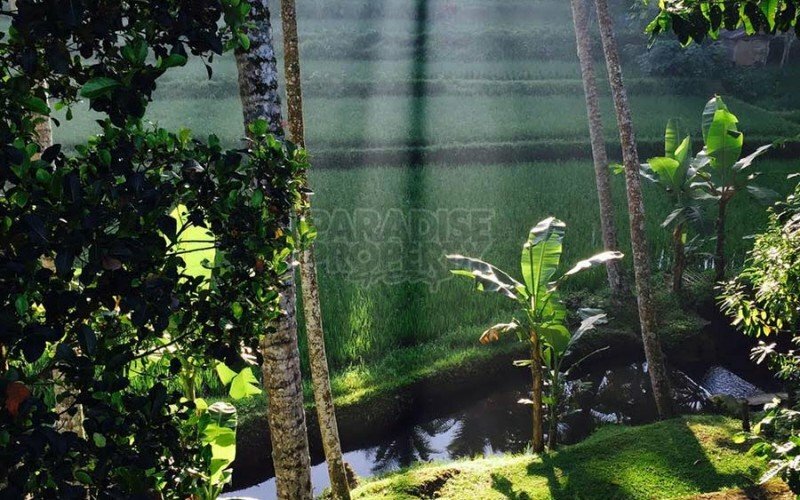 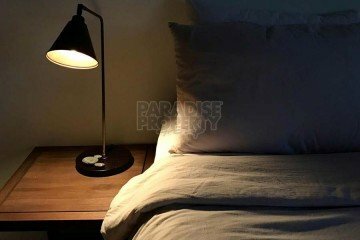 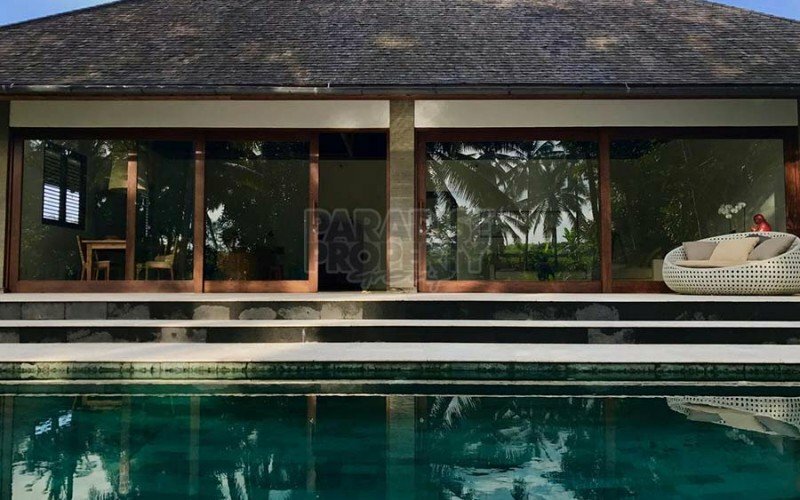 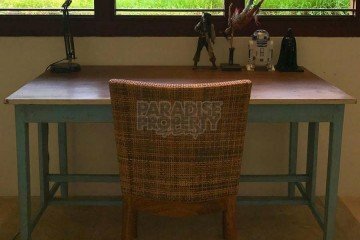 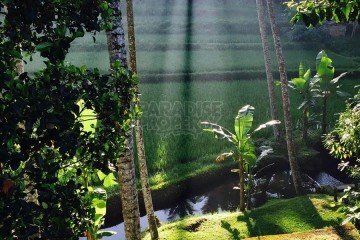 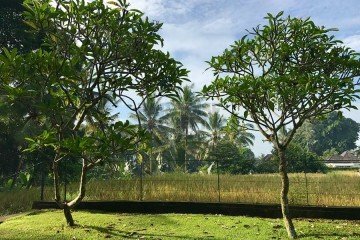 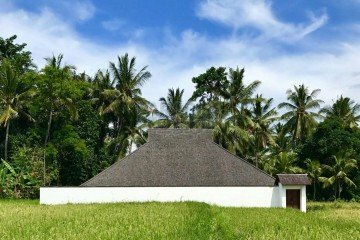 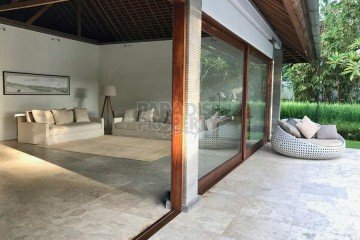 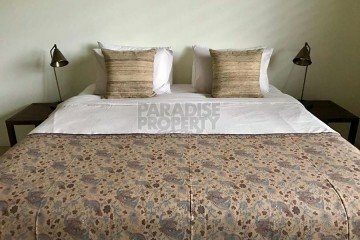 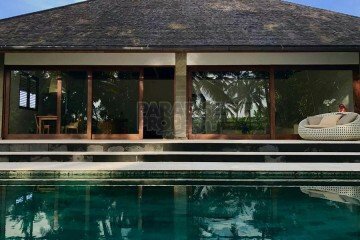 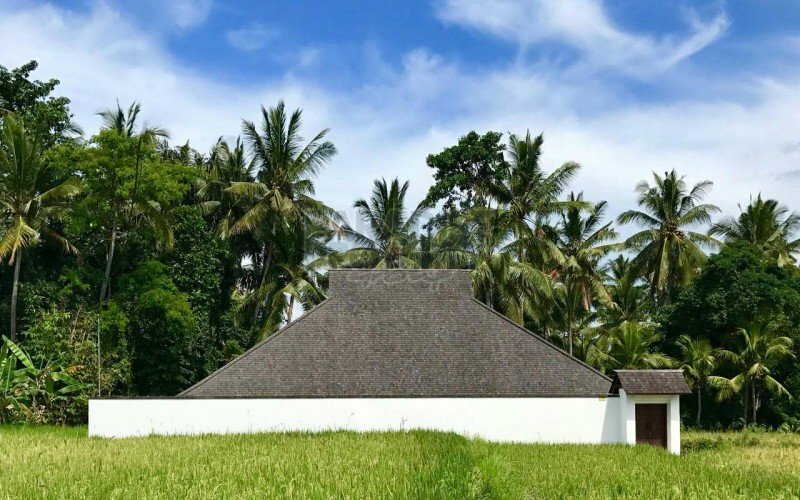 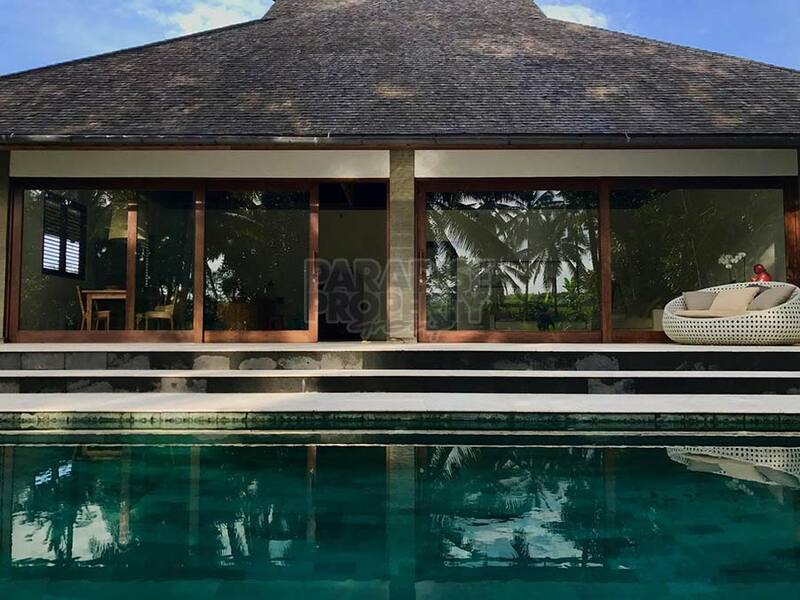 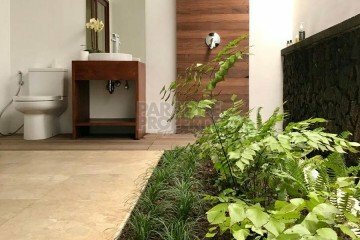 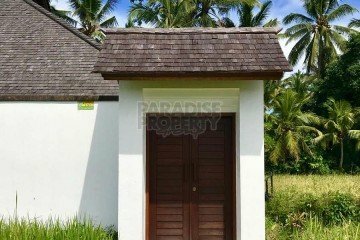 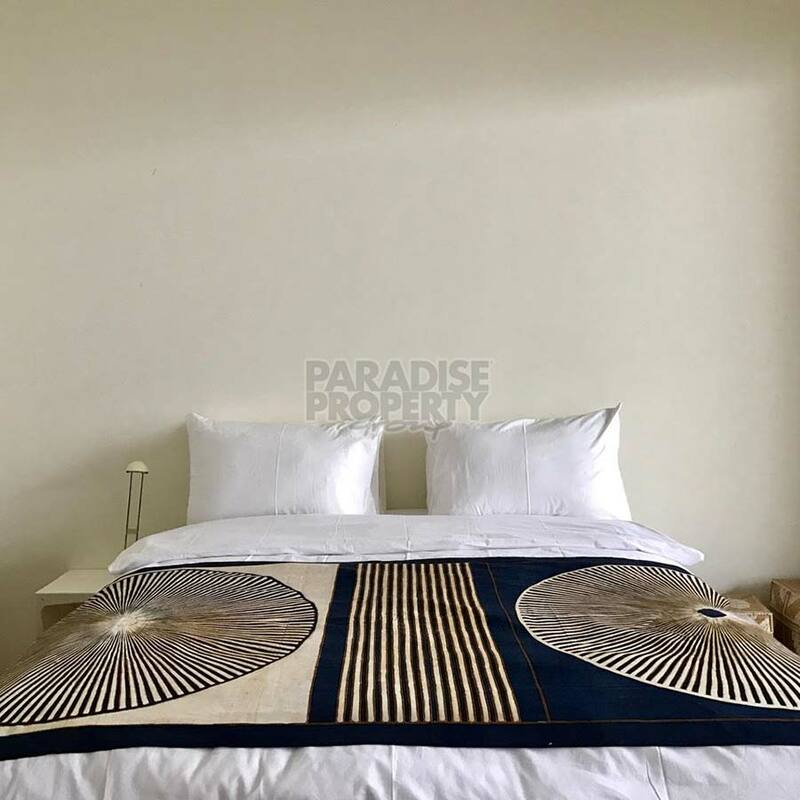 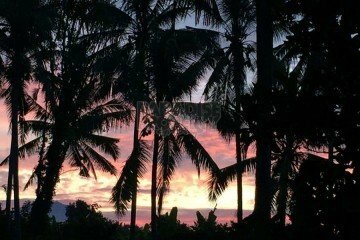 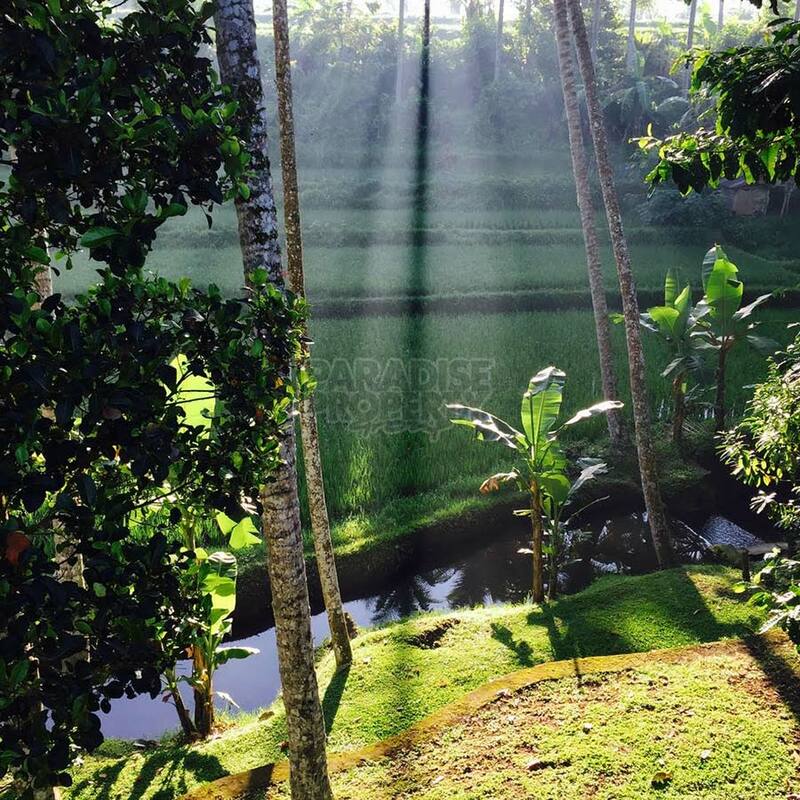 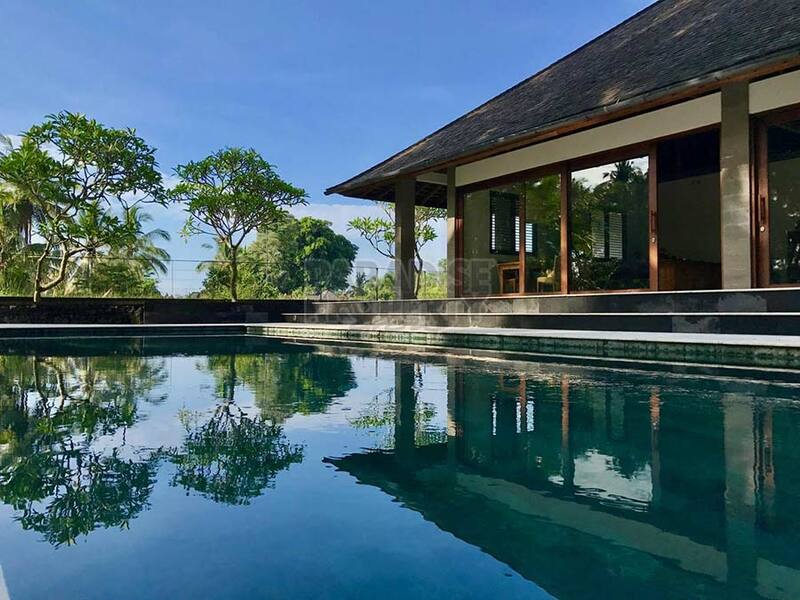 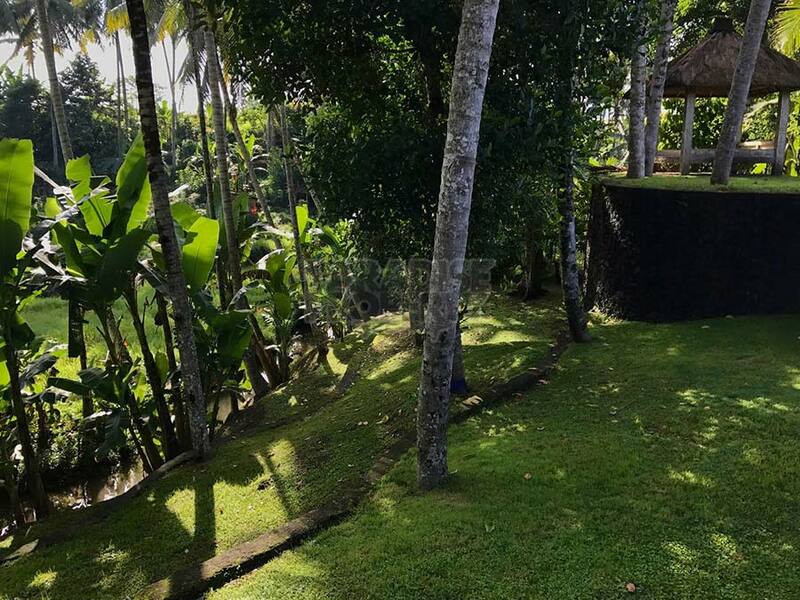 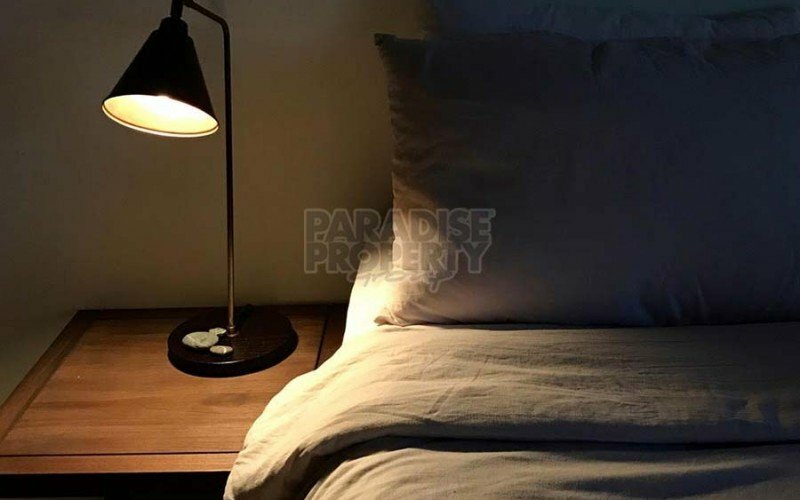 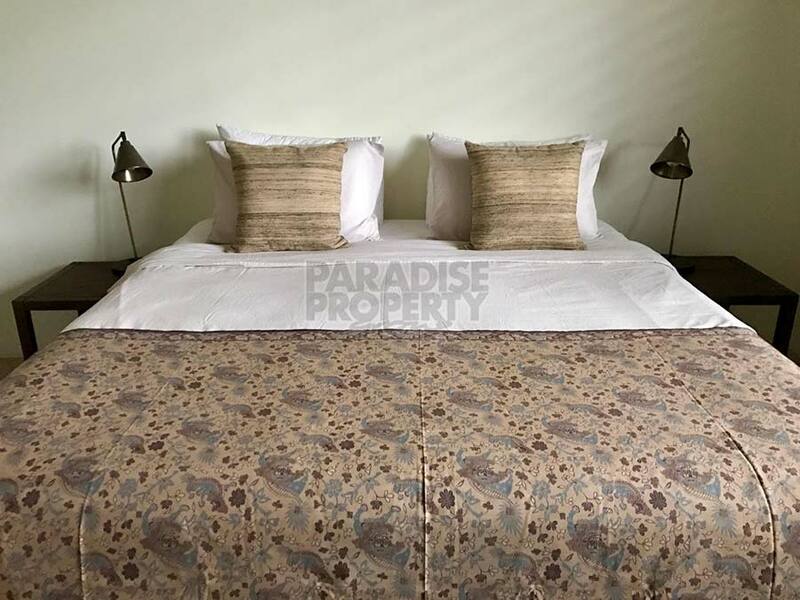 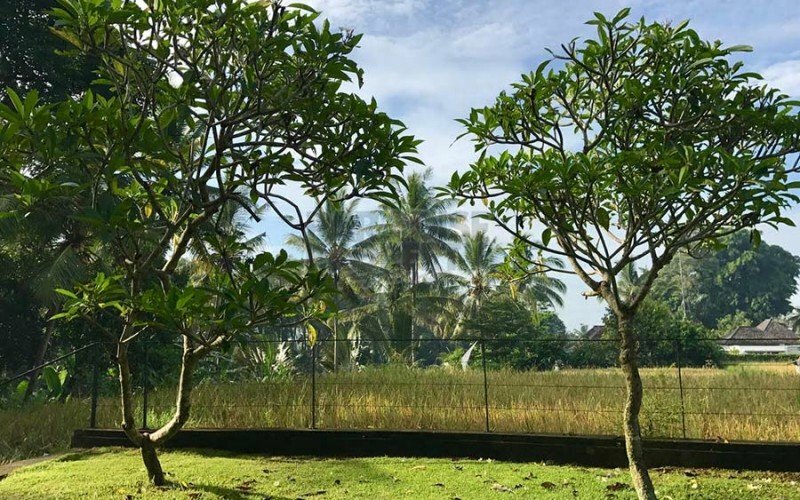 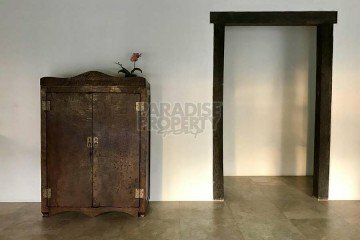 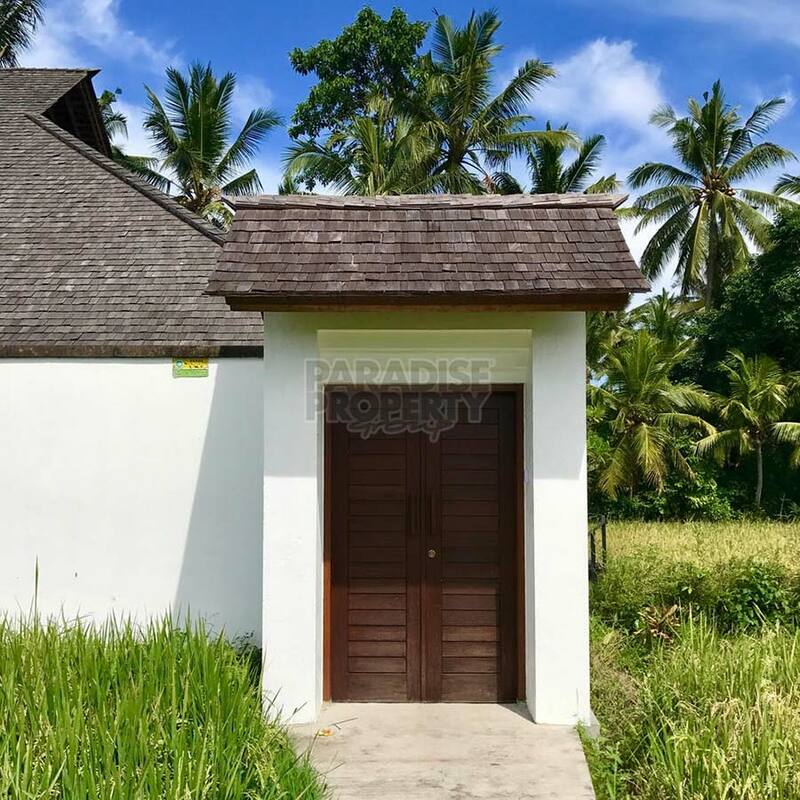 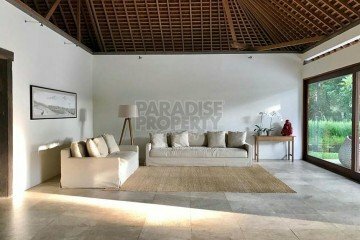 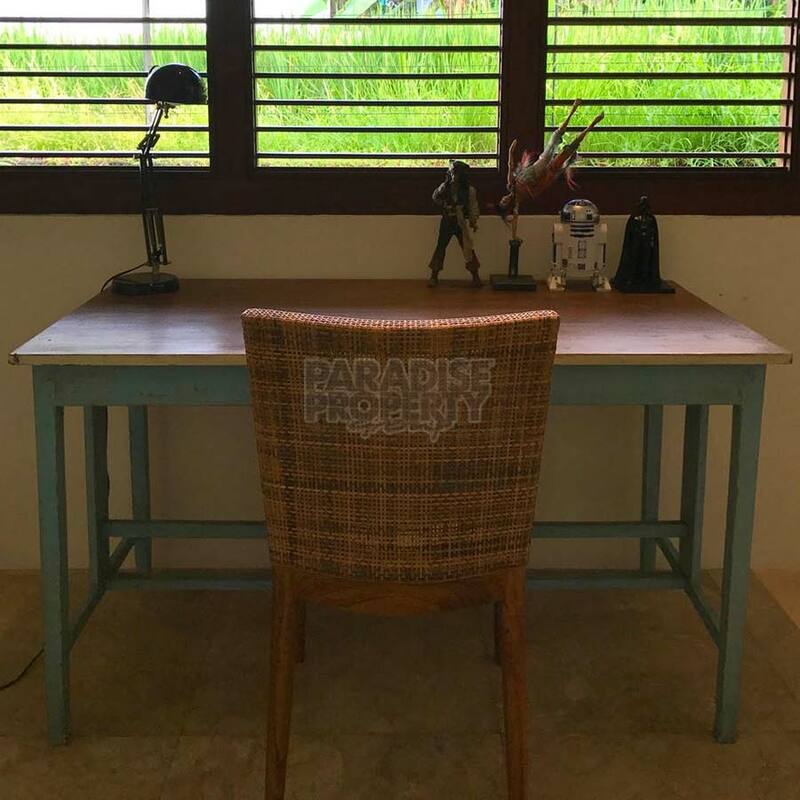 Located only 3 km from Ubud centre to the north in one of the most popular streets, this beautiful luxurious villa is a jewel on the property market. 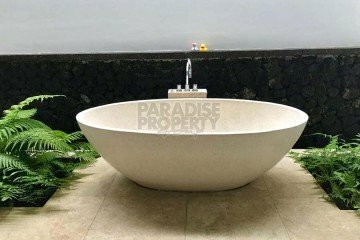 It was built by an Australian builder to highest quality standards. 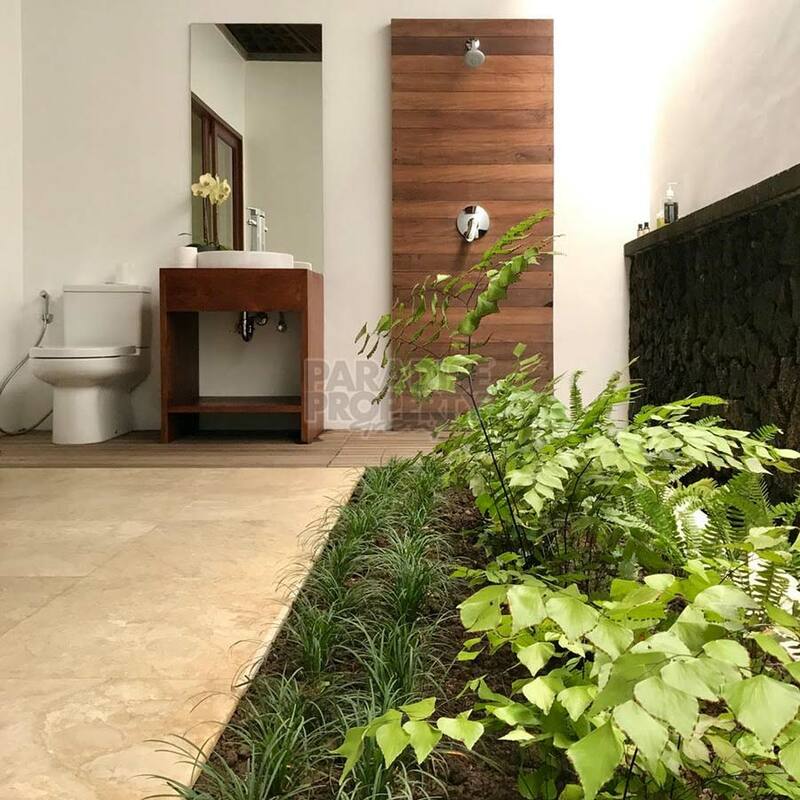 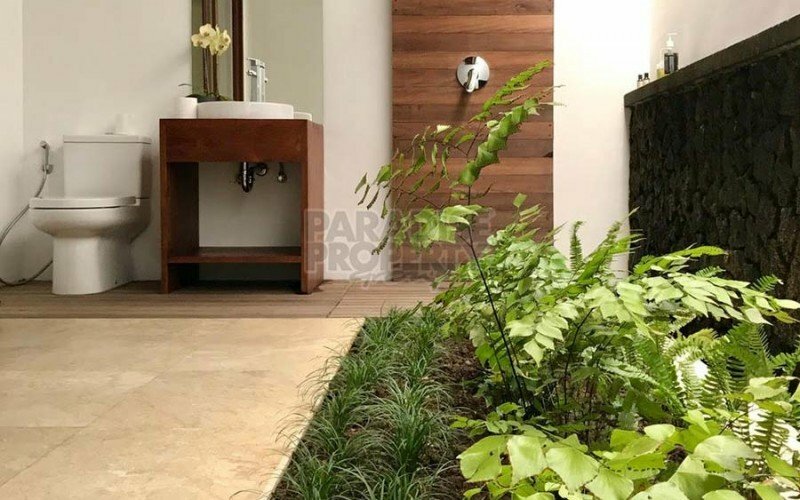 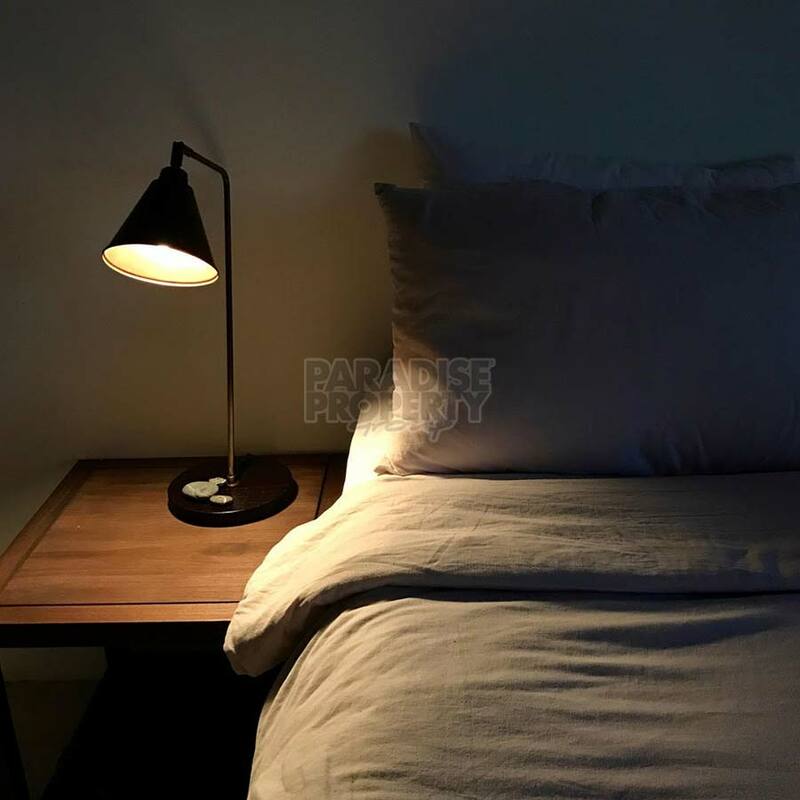 The design is simple, minimal and functional with natural mostly local materials like wood, rattan, beautiful sand-blasted marble floors and wooden shingles. 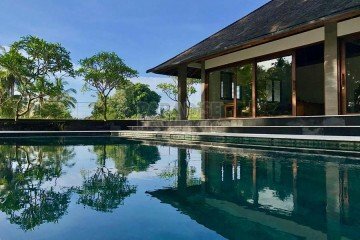 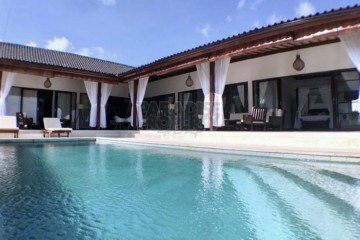 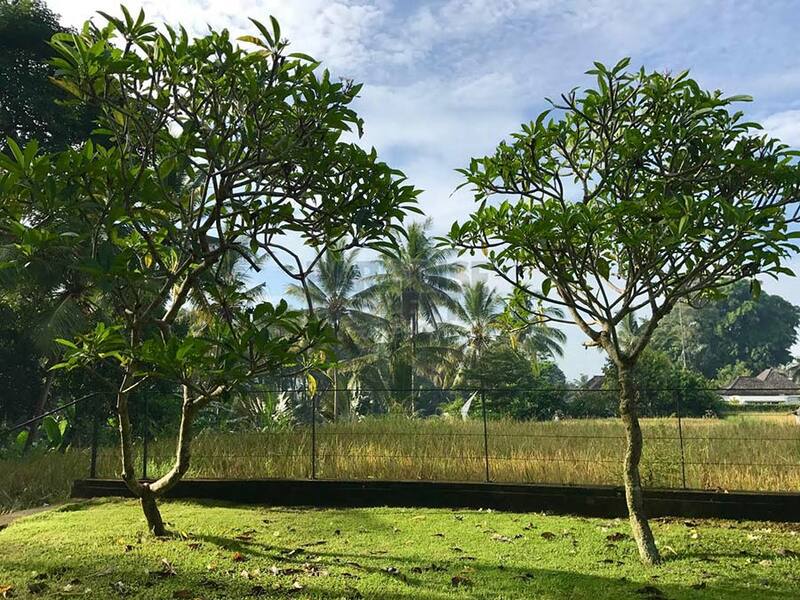 Stunning views to a small river valley, jungle and rice fields from the large living and dining area, as well as the swimming pool and the surrounding verandah. 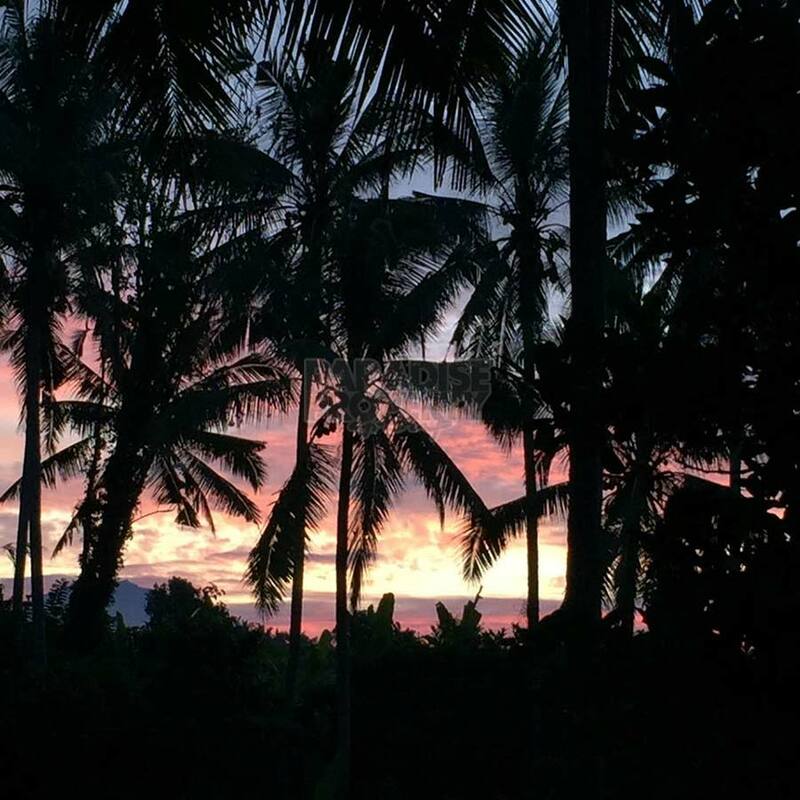 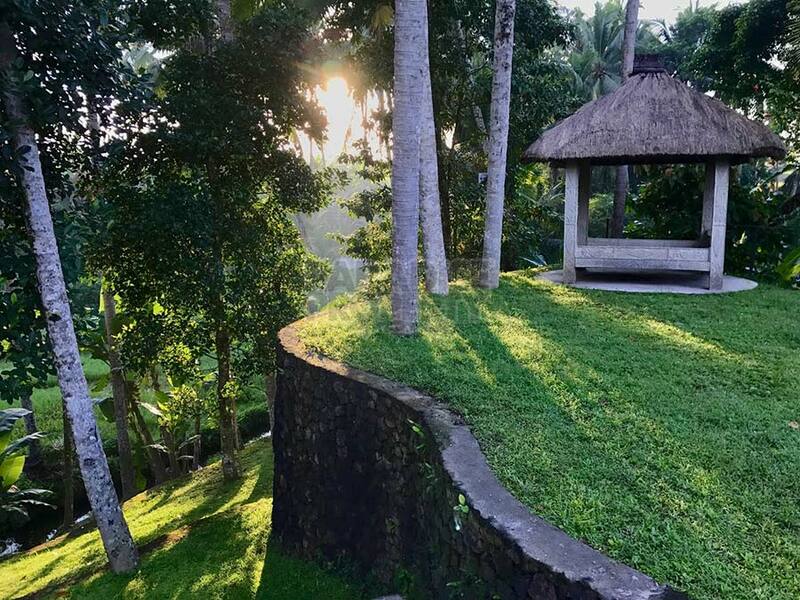 Magical sunrises and sunsets can be enjoyed as well from a traditional gazebo. The swimming pool has an ozone system which needs much less chemicals. 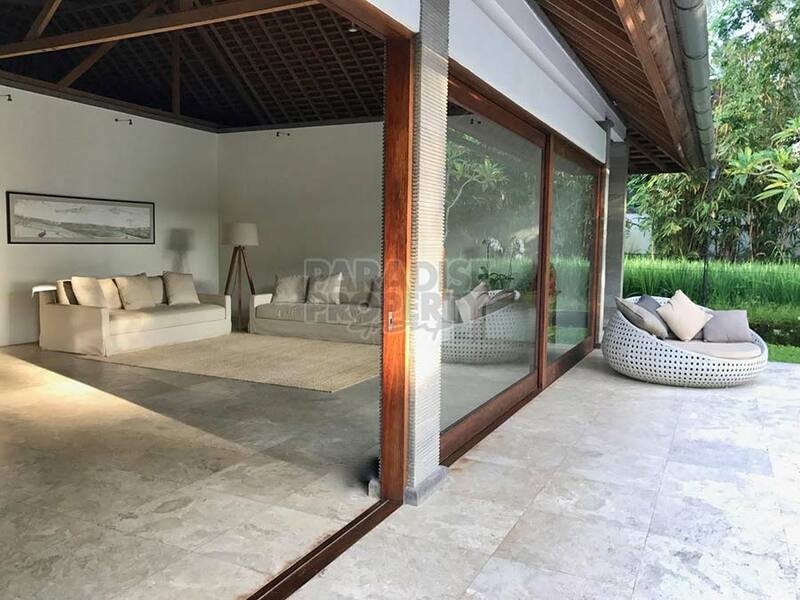 The main living and dining space can be either completely opened or closed and locked without obstructing the amazing views. 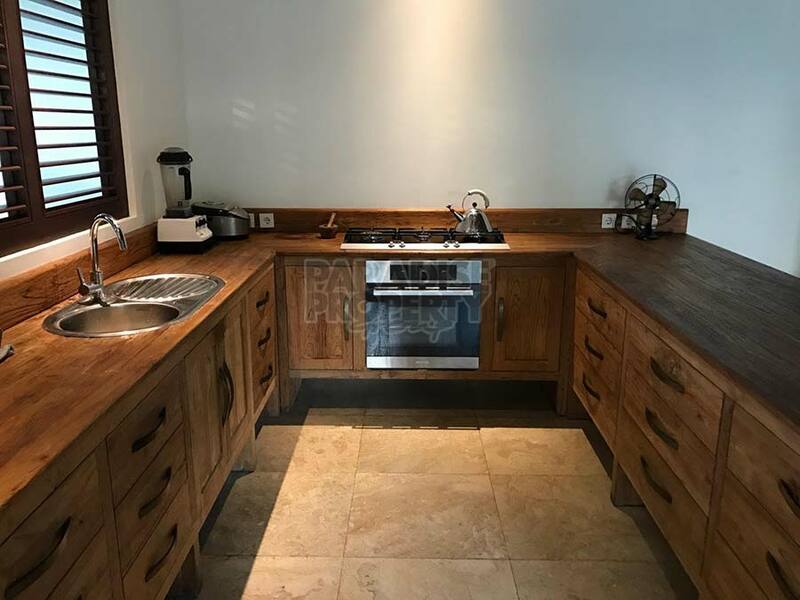 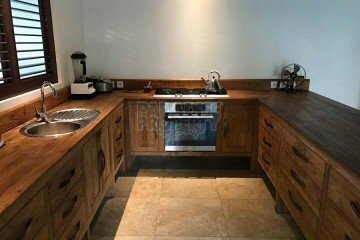 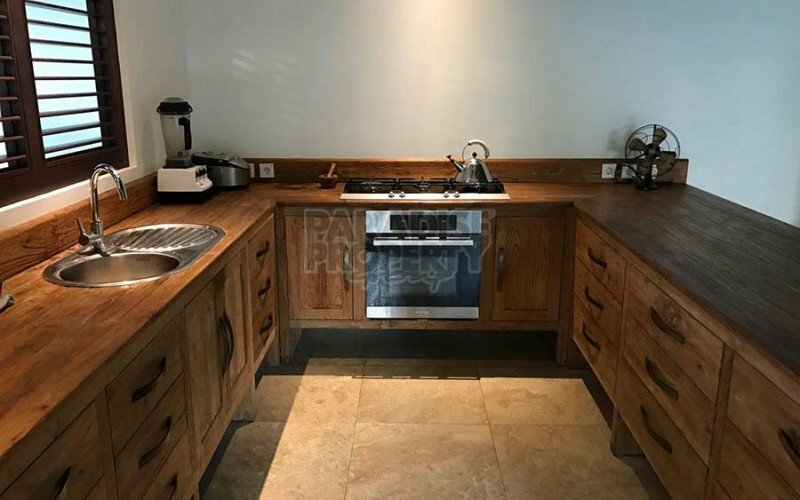 A fully functional and good looking kitchen, provides plenty of counter space and is equipped with top quality appliances including a high-end large Panasonic fridge, an electric oven and a full set of high-quality utensils and cookware. 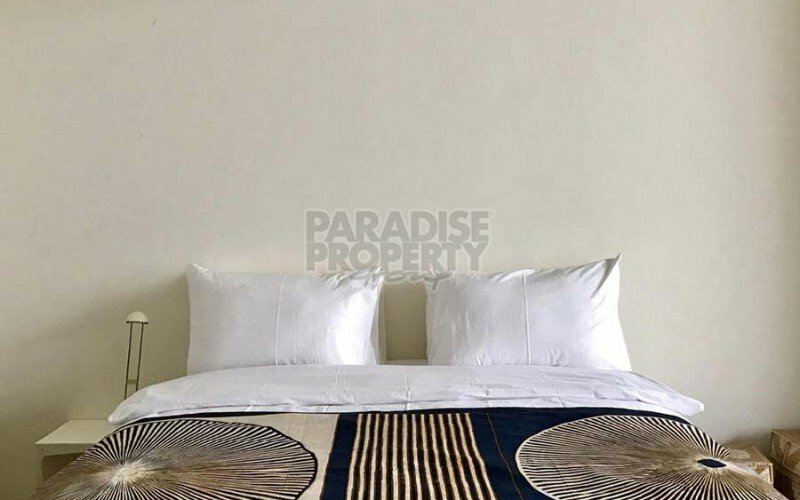 The 3 bedrooms have comfortable King Koil beds and ensuite bathrooms (one with a bathtub). 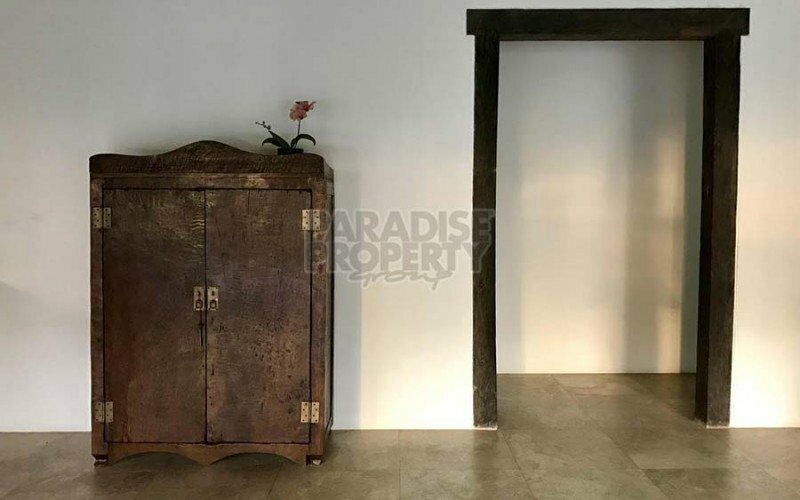 There is also a spacious and functional wardrobe/storage room. 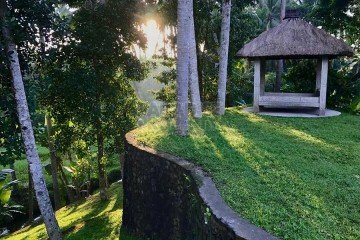 A combination of elevation, the ridge in front and smart building solutions (e.g. 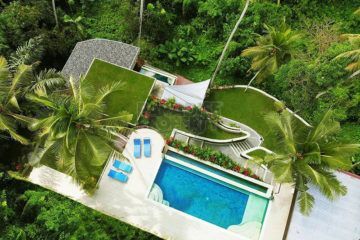 high roof) make the villa pleasantly cool. 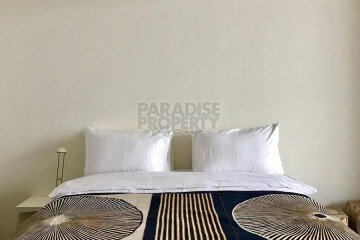 All bedrooms have closed ceilings with ceiling fans. 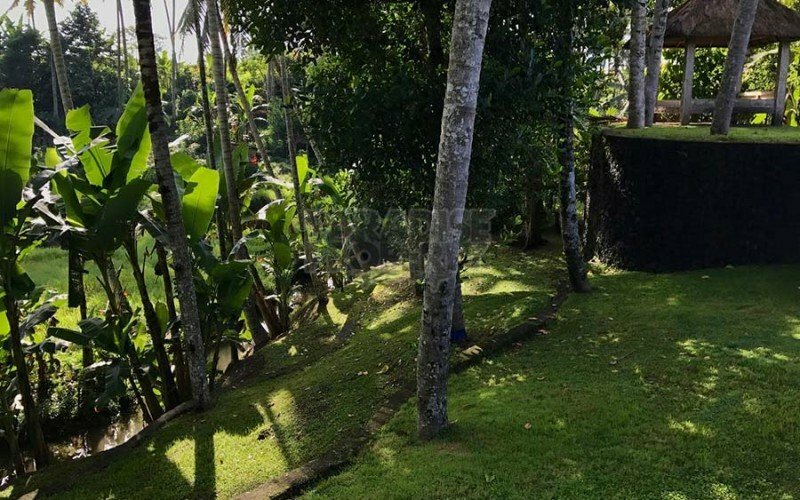 There is an outdoor laundry space with a Bosch washing machine and a separate Bosch dryer. Recycling bins are helpful to manage trash. 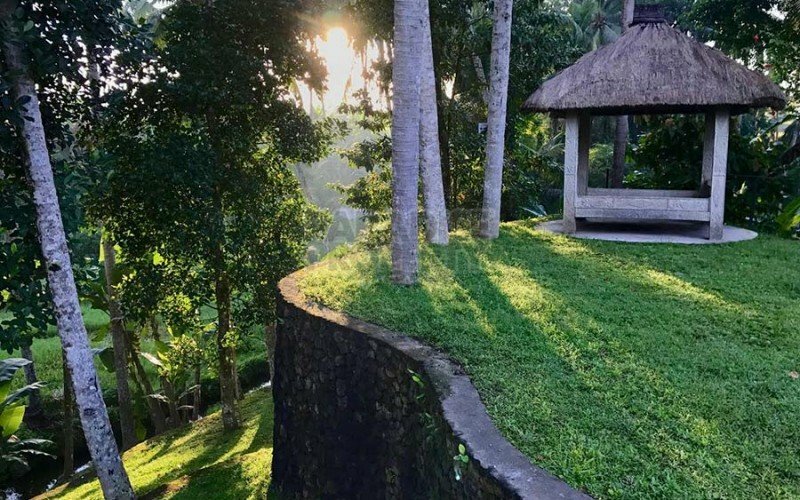 Car parking is in front at the main road and the villa is reached by a small walkway which can also be used for bikes. 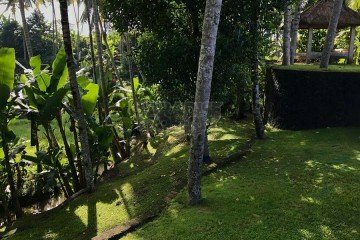 Fiber optic internet connection provided. This stunning property has a lease period until December 2036 with an option to extend the lease for another 25 years.